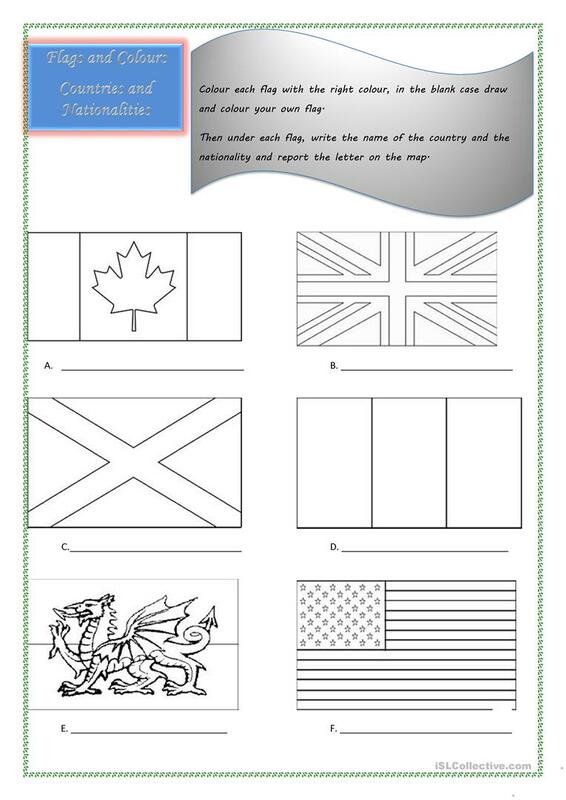 a worksheet to practice coulours and to learn English speaking countries,where they are and nationalities. please, do not hesitate to write comment on it. The above downloadable teaching material was created for elementary school students and kindergartners and nursery school students at Beginner (pre-A1), Elementary (A1) and Pre-intermediate (A2) level. It was designed for working on your class' Writing skills. 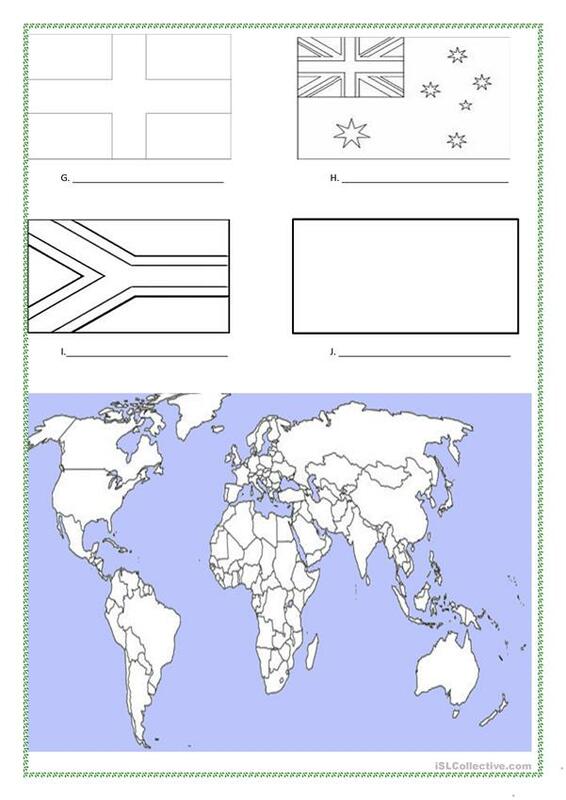 It focuses on the topic and words of Countries. Lily974 is from/lives in Reunion and has been a member of iSLCollective since 2012-08-26 09:20:57. Lily974 last logged in on 2019-04-26 07:41:03, and has shared 22 resources on iSLCollective so far.